Shoot anytime you want without blasting holes in your wallet with this affordable WPA® Ammo. Great reliability and performance for your gun, too. 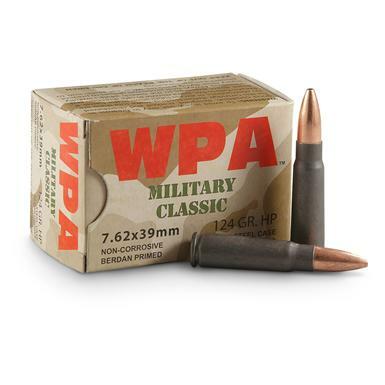 WPA, 7.62x39mm, HP, 124 Grain, 500 Rounds is rated 4.8 out of 5 by 93. Rated 5 out of 5 by Simms64 from Thanks Russia This works great in my AR. No problems. 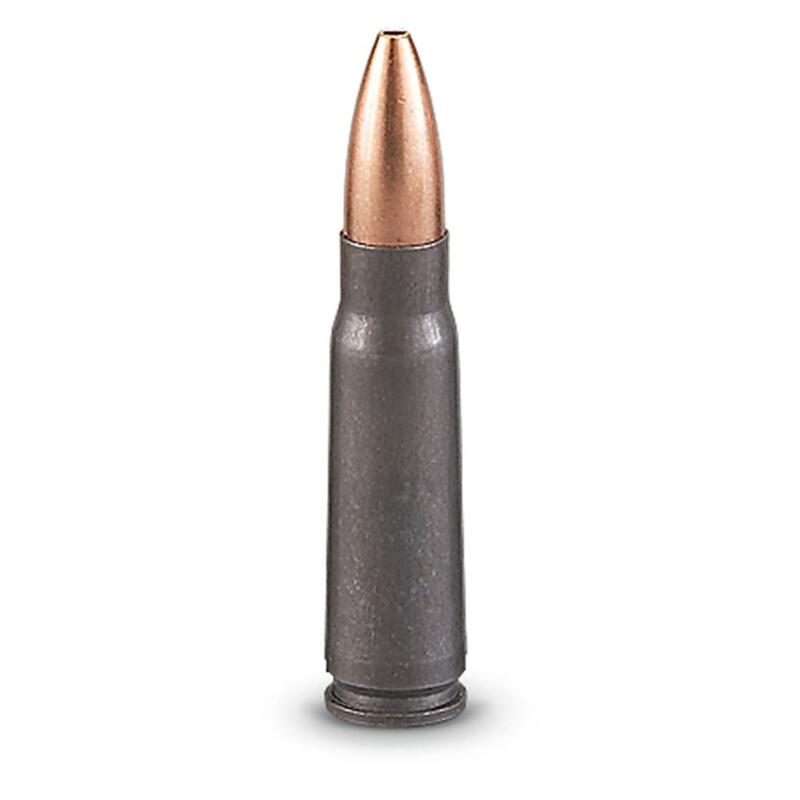 Rated 5 out of 5 by TimL from excellent price and free shipping ammo is priced so you can shoot anytime you want without killing your wallet, shoots good with no problems or issues, I shoot wolf steel case in all of my guns, its too cheap not to. and free shipping and 4-pay are great too. Rated 5 out of 5 by uncfolife from Great Price! Once again SG has offered great ammo at a great price. I have not had a problem with a single round so far! Rated 5 out of 5 by kahoona from Excellent Price as always Never had any jams with this ammo, in my AKs. Rated 4 out of 5 by 1971Chevelle from Good ammunition... This ammunition works just fine in my SKS. I have gotten good accuracy out to 300 yards with it so far. Rated 5 out of 5 by C N H from Great Stuff! Good stuff! AK and SKS eat it up and come back for more. Highly accurate, versitile rounds at an incredible price!